Holding onto small edges, balancing on your feet, pumped forearms: that’s climbing! You’ll find nice routes and courses on your level. Come and try out climbing on our 14 meter high wall! 14 hours of racing: mountainbiking, navigating, canoeing. “The day before the event all four of us wondered what the hell we got ourselves into, but it is one of the coolest things I’ve ever done”. Team up and see for yourself during ARA 2019! Climbing at the USC: how does it work? Climbing outside course hours (certificate needed). Single entrance, 10x punch card, 3 or 12 months subscription. Do you like to climb with a group of friends? Check our arrangements. Do you want more climbing fun? Join student club ASAC! At sportcentrum Universum you can also do bouldering. The USC climbing hall is 14m high, has 18 ropes and routes between 3 and 7b. You can choose between toprope or lead. Always check out the timetable for the climbing hours outside the course hours. You find the hall availability there. 1. 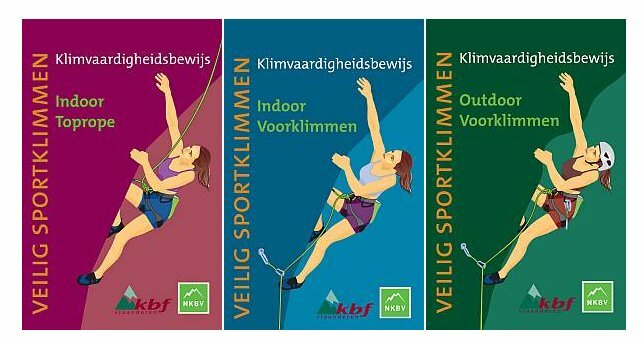 The wall is accessible if you’re in the possession of an NKBV klimvaardigheidsbewijs, if you get listed on the USC climbing permission list or when you are an ASAC member. 2. We cannot scan member passes of other climbing halls. Did you obtain your K2 certificate? Send us a proof (with name and date) to sportklimmen@usc.uva.nl! 3. If you are an experienced climber, you can get access if you demonstrate your belaying and climbing skills to one of our USC climbing instructors. Please mail sportklimmen@usc.uva.nl for an appointment and describe your experience and availability. You have to bring a climbing partner. You will finish the course with the NKBV certificate Indoor Toprope. Afterwards you are allowed to climb in any Dutch climbing gym. 4 classes, 2 hours each. You have to participate in all classes. Last-minute problem? Mail immediately to sportklimmen@usc.uva.nl. Missed a class beyond control? Still want to obtain your NKBV certificate Indoor Toprope? Check the timetable for the extra exam moment. This course starts multiple times a year. Improve your efficiency and technique. Required experience: you have finished the beginners course or you have similar experience. You find this course several times a year. Optimize your efficiency and techniques. Work on your tactics and awareness of your own climbing skills. Required experience: you have finished the intermediate course or you have similar experience. You can obtain a NKBV certificate Lead Climbing after passing the exam. 5 classes, 2 hours each. Required experience: you need a level of at least 5c and a minimum of 6 months of toprope experience. Send an e-mail to sportklimmen@usc.uva.nl and we will look at the options. Climbing gear and shoes during the course? This is included in the course price. Bring an elastic if you have long hair. For climbing you need permission of the USC. You can apply for a safety check at sportklimmen@usc.uva.nl. Climbing is at your own risk. Check the online timetable for the availability of the climbing gym. Store your kit in the closet. Last climber of the day? Please coil the ropes. Change in the dressing rooms. No glass in the climbing gym. It’s not allowed to climb without a t-shirt. It’s not allowed to climb with bare feet. Stay focused on both your own and other people’s safety. CHECK your partner before and after a climb. You can tie in with a direct 8-knot or double bowline. Always one hand on the braking rope. Use the 5-step or tunneling technique for belaying. Give other climbers enough space. The maximum height without a rope is the horizontal line of the first bolts. Don’t use unnecessary equipment on your harness. Never untie the safety system during belaying or climbing. Forbidden to climb under the influence of alcohol or drugs. Don’t wear jewelry during climbing. For lead climbing both climber and belayer need additional permission of the USC. Clip all bolts. The usage of bolt 1 is optional. Make use of a safety mat. Always put the rope back in the two snappers of the top anchor. You can get a rope at the front desk for the lead climbing bridge. Lead climbing is not allowed with 6 teams or more in the climbing gym. Lead climbing on rope 1 and 17 is not allowed. It is possible to arrange an introduction class for large groups (e.g. student associations, schools) at a favourable fee. For rates and possibilities please contact sportklimmen@usc.uva.nl. The opening hours of the climbing hall are the same as the opening hours of sportcentrum Universum. NB: climbing is not possible during USC and ASAC courses after 17.00. Check the timetable. NB 3: Your climbing entrance or climbing membership allows you access to the bouldering facilities as well. Your bouldering entrance does not allow you access to our climbing hall. harness + carabiner + belaying device cost € 3/set.